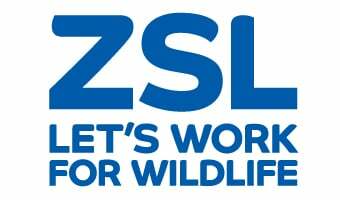 The Zoological Society of London (ZSL) is working in Indonesia with the Government of South Sumatra on a new landscape management project, KELOLA Sendang. This public-private-people partnership aims to address the challenges of deforestation, peatland degradation, wildfires and their associated climate impacts within the context of green growth and biodiversity conservation. The project supports the government, private sector and local communities, to pilot a sustainable management partnership model across the Sembilang-Dangku landscape of South Sumatra, an important habitat for Sumatran tigers and other wildlife. The Government of South Sumatra has committed to improve rural economic growth and conservation efforts by developing a holistic approach to natural resource management to achieve a “Green Growth Vision”. In support of these strong commitments by the Governor of South Sumatra, ZSL and our project partners developed KELOLA Sendang, a model for sustainable landscape management - engaging public and private land managers, as well as local communities. The Project landscape covers an area of approximately 1.6 million hectares across the Sembilang-Dangku Landscape of Musi Banyuasin and Banyasn districts. This multi-use landscape which includes Berbak-Sembilang National Park and Dangku Wildlife Reserve, is an important area for biodiversity, namely the Sumatran tiger. However, unsustainable practices such as peatland drainage and forest fires for industrial timber and oil palm plantations, are changing the landscape rapidly. This is threatening the habitat of this Critically Endangered species. The name KELOLA Sendang comes from the Indonesian Bahasa translation of Kemitraan Pengelolaan Lansekap (Partnership for Landscape Management). KELOLA can be translated to mean “management”; while “Sendang” loosely means “spring water”. The project, a partnership led by ZSL, is working across 21 priority villages selected based on ecological, biophysical and social criteria to implement project activities. As part of KELOLA Sendang we are supporting the implementation of best management practices (BMP) within the public and private sectors, while also enabling communities to gain access to local resources. ZSL’s SPOTT is a leading instrument we are using to promote transparency and corporate accountability to help stakeholders monitor and manage the risks of commodity production. For more information on the KELOLA Sendang project, please click here. The Government of Norway through The Norwegian International Climate and Forest Initiative (NIFCI), UK aid from the UK government and the David and Lucile Packard Foundation.